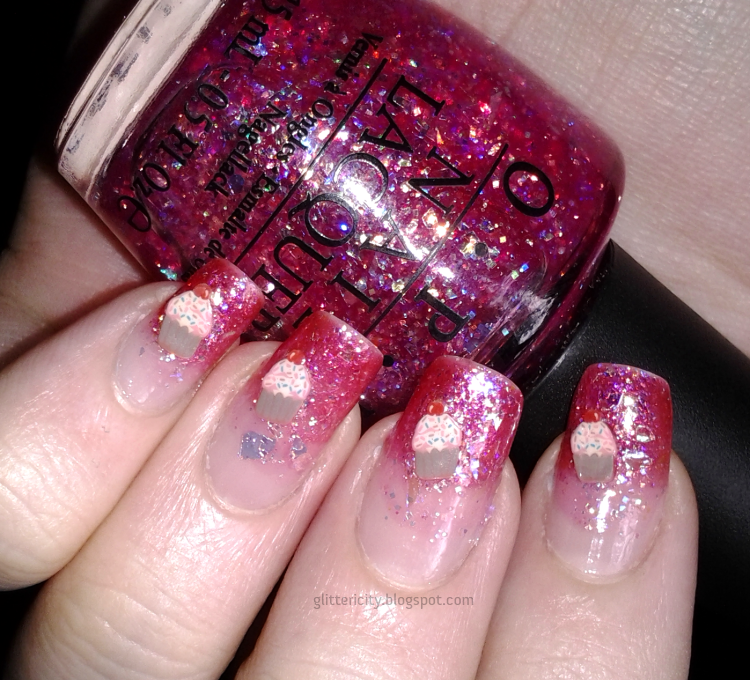 The gradient pink tips were done with two OPI polishes. First, I used And This Little Piggy. It's a lovely warm bubblegum pink, but shimmery with iridescent glassflecks :D it's nice and sheer, too, so it was easy to create a gradient look using just the brush, working gradually up the nail in a few coats--no sponge required. Once that dried, I added a coat or two of my newest polish and the first I bought here in Australia: I Lily Love You. I meant to pick this up when I first saw it, but never got around to it with all the moving hustle and bustle. 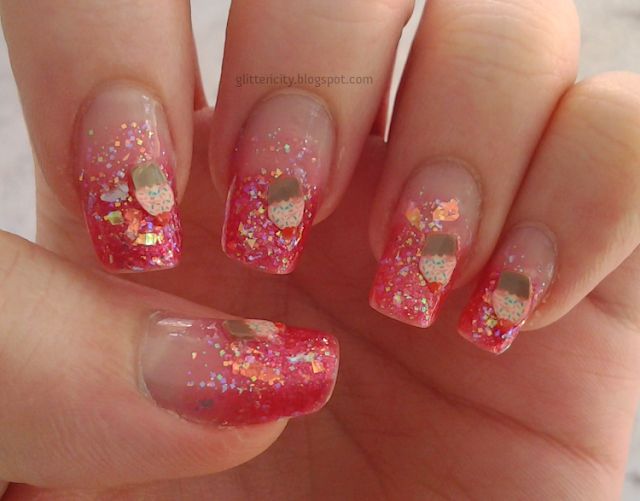 It's loads of iridescent small square glitters and flakes of all shapes and sizes in a sheer pink base. It goes perfectly with And this Little Piggy and is SO pretty! For a finishing touch, I used some cupcake fimo slices I got from bornprettystore.com a long time ago. A quick glance at their website doesn't seem to show the original set of 100 full canes I got, but they do sell individual slices. 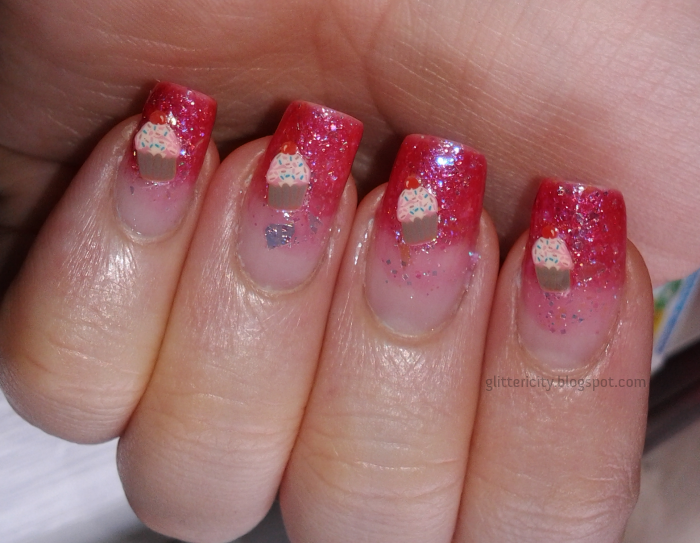 Anyway, these cupcakes were so adorable and went so well with the festive pink tips that I couldn't resist! 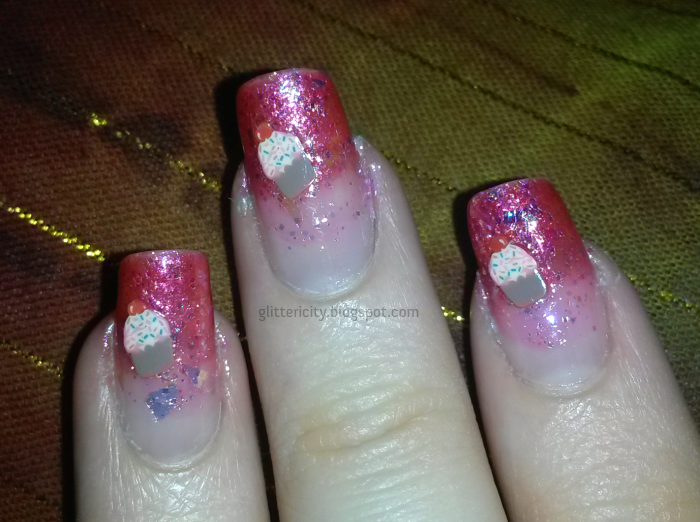 I stuck the fimo slices on with my newest topcoat, KB Shimmer Clearly On Top. I have heard lots of good things about them, so I ordered two bottles before I left. And am not disappointed! It dries very fast and is super glossy. 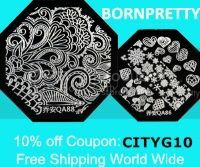 The price is also quite good, so check them out! In shade. I love how the glitter and flakes stand out so much here. Isn't it beautiful? And one more, because the detail in the cupcakes really showed up.